From Regional Airport Grenchen you fly over the Jura chains within 20 minutes. The rock faces at the Jura-Südfuss are very impressive. 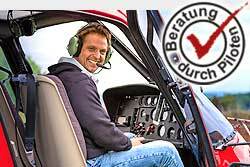 Above the Jura, you and your passengers have a view towards the Bernese Alps or the Basel area. When booking the whole helicopter (exclusive flight), the route can be discussed with the pilot directly.